A decision on whether to abolish the leap second - the occasional, extra second added to the world's time - has been deferred. Experts at the International Telecommunication Union (ITU) were unable to reach a consensus, so moved the matter to a meeting in 2015. The US argued at the meeting that leap seconds were causing problems for communication and navigation systems. But the UK said that the long-term consequences of losing it were great. An ITU spokesman said that Japan, Italy, Mexico and France all supported the United States' stance on losing the leap second, while Germany and Canada, like the UK, wanted the extra second to stay. More countries though, including Nigeria, Russia and Turkey, wanted further study. As a result, the ITU decided that more research was needed to consider the broader social implications of losing the leap second before a decision could be taken. The ITU suggested that a study group should investigate the issue, before presenting any proposals at the next World Radio Conference in 2015. It means that for now, the world's time will continue to be linked to the Earth's rotation. 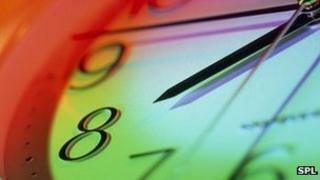 The next leap second is due to be added on 30 June 2012. The leap second was introduced in 1972. It was added to keep our modern timekeepers - atomic clocks, which rely on the vibrations in atoms to provide a very accurate measurement of time - in line with our slightly less reliable timekeeper, the Earth. Because our planet wobbles a little on its axis as it spins, it means some days end up being a few milliseconds longer or shorter than others. This means that over time, the time based on atomic clocks, and the time based on the Earth's rotation drift further and further apart. When this difference is deemed by the International Earth Rotation Service, which monitors the Earth's activity, to be approximately 0.9 seconds, a leap second is added to pull the two back into sync. Sometimes a leap second can be added every year, sometimes not for several, with six-months' notice provided before action needs to be taken. Those who wanted to lose the leap second said that the one-second increments were becoming increasingly problematic for a vast range of modern navigational and communication systems, such as sat-nav, financial services, air traffic control and the internet. These all rely on having a continuous and stable timescale, so adding a somewhat unpredictable, one-second increment can be disruptive. The UK, though, says any problems are exaggerated - and that losing the leap second could cause long-term problems, as the time based on the atomic clocks and the time based on the Earth's rotation would move ever further apart. Over decades, this would amount to a minute's difference, but over 500 years this could be an hour, and over thousands of years, the Sun could be setting when atomic clocks claim it is morning. Peter Whibberley, senior research scientist at the National Physical Laboratory in Teddington, UK, who is leading the UK's delegation, said: "This result achieves the UK's aims of securing much broader debate and understanding of the consequences of ending the link between UTC (Coordinated Universal Time) and solar time before a final decision is taken." Time to change the world's time?